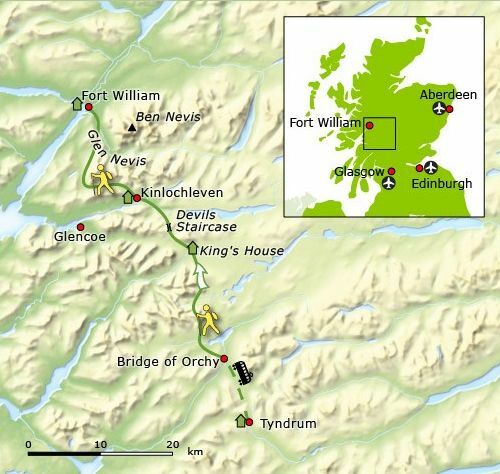 • West Highland Way: mooiste deel Tyndrum - Fort William. .. within the capabilities of experienced walkers. .. towards the finish at Ben Nevis. companies packages who’ll transfer your baggage for you each day. 2. Be prepared for bad weather. Buachaille Etive Mor and Ben Nevis. A must for backpacking enthusiasts ! 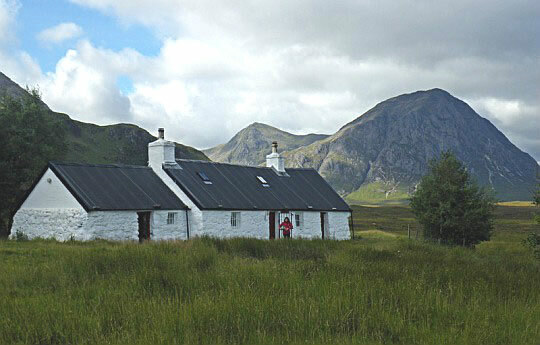 • Blackrock Cottage met Buachaille Etive Mór rechts achter. - The shortest and easiest section on the WHW. .. restaurants as well as enough shops. 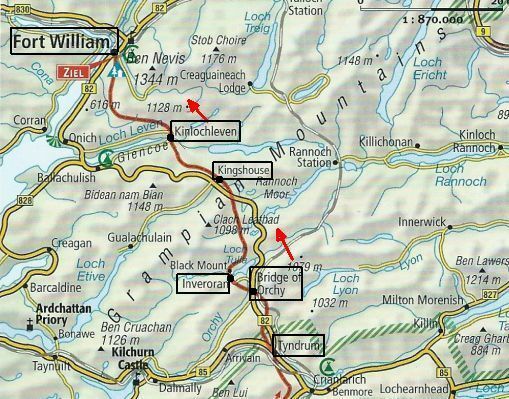 .. shopping centre is not until Kinlochleven further on. .. road and rail communications. .. section of the WHW. .. situated at the head of Loch Tulla. .. 350 m on the Rannoch Moor (een uitgestrekt veenplateau). .. it probably gets from the colour of the Peat and the Lochans. .. the moor, before King's House Hotel..
- Another striking section of the WHW with stunning views. .. the ascent up. the Devil's Staircase. .. (The Shepherd of Glen Coe). .. Lairigmor pass and. reascends through forest. 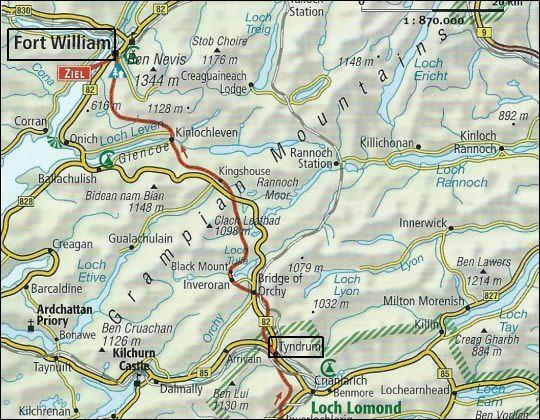 - Then down to Glen Nevis and on to your final destination, Fort William..
... stippen op die rode lijn. Reuze handig !